Patricia McCarney (front row, left) signs the MOU towards the establishment of the WCCD-Minna Local Data Hub with Professor Abdul Husaini (front row right), alongside His Excellency Abubakar Sani Bello, the Governor of Niger State, Nigeria (second row, second from left), the Nigerian Consul General (second row, third from left) and members of his Cabinet at the Nigerian Mission to the United Nations in New York. On Friday, July 28th, the WCCD President and CEO, Dr. Patricia McCarney, was in New York to sign the initial MOU towards establishing the Minna-WCCD Local Data Hub with His Excellency Abubakar Sani Bello, the Governor of Niger State, Nigeria. 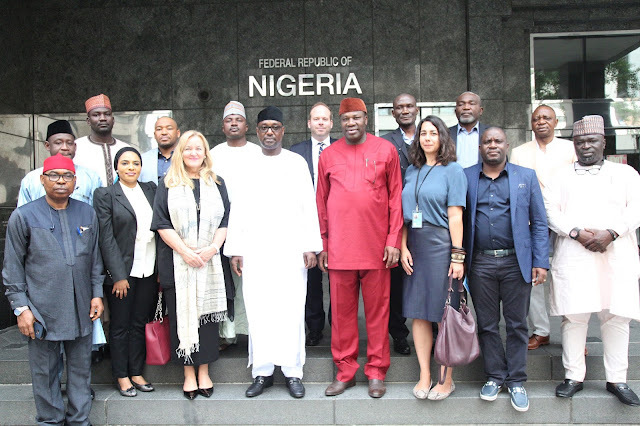 The Governor, alongside several members of his Cabinet and the Nigerian Consul General to New York, stressed that the establishment of the Minna-WCCD Local Data Hub was the beginning of a new phase of the WCCD’s longstanding relationship with Minna, and that the Local Data Hub would be pivotal in helping create a more sustainable, resilient and inclusive Niger state. “My presence here in New York this morning, with some of my cabinet members and technical staff, is to show our complete support and commitment to the selection of Minna as one of the first eight WCCD Local Data Hubs,” stated Governor Sani Bello. “I look forward to working with the World Council on City Data, and [its] sister organization, the Global Cities Institute at the University of Toronto, to improve the capacity of my staff and train our ever enthusiastic youthful population.” The Governor went on to state that beyond the Hub’s initial mandate to help cities and communities throughout Niger State create a culture of data based on WCCD’s ISO 37120 standard, that eventually the momentum would carry further throughout Nigeria and West Africa. He underlined the importance of data in helping to not just build more sustainable communities, but also more resilient communities in light of recent flooding that resulted in loss of life. 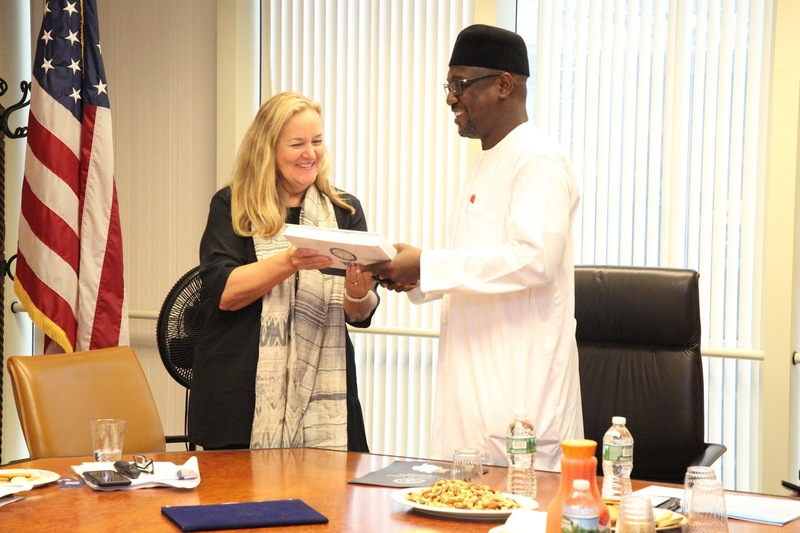 The WCCD President and CEO also presented Governor Sani Bello with a copy of "WCCD City Data for the United Nations Sustainable Development Goals", which was launched at the United Nations in New York on July 17th. In addition to the WCCD and Nigerian delegations, the event was also attended by Mr. Amir Dossal, Founder and President of the Global Partnerships Forum and Ms. Amy Gill, Local Governance Specialist - Responsive and Accountable Institutions Team, at the United Nations Development Programme UNDP. Beyond Minna, Nigeria, the initial network of WCCD Local Data Hubs includes Johannesburg (South Africa), Makati (Philippines), Dubai (UAE), Los Angeles (USA), Haiphong (Vietnam), Buenos Aires (Argentina) and Cambridge (Canada). 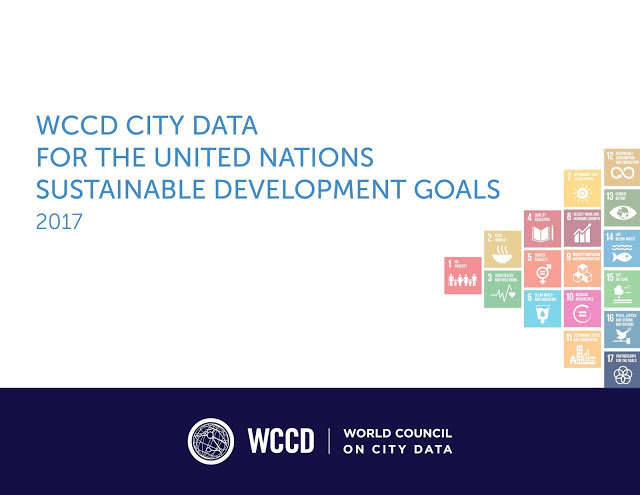 These cities are partnering with the WCCD to build ISO-certified city data to drive progress towards local, national and global agendas. The Local Data Hubs will focus on real action and results through four critical objectives: showcasing leadership, demonstrating results, catalyzing action and enabling city-to-city learning.